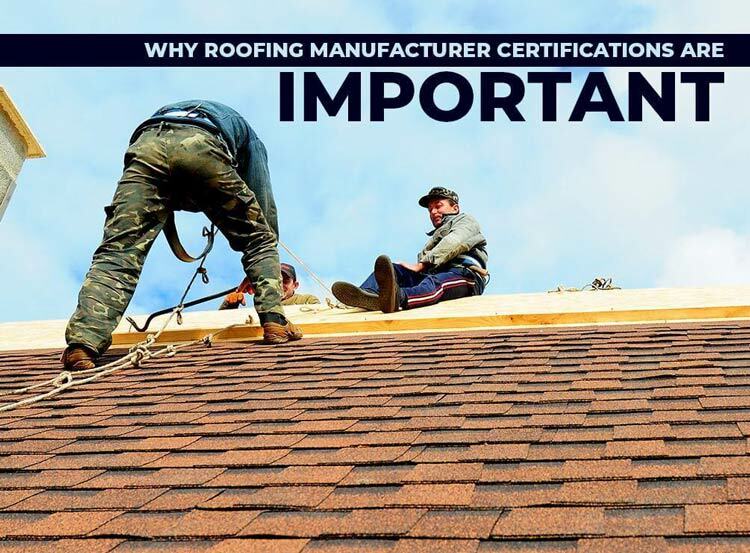 Manufacturer certifications are like badges of honor among roofing companies. The more certifications they have, the more reliable the contractor will often be. At Kroll Construction, we are proud to be certified by leading roofing manufacturers Owens Corning® and IKO. Today, we’ll share how you can benefit from these certifications. Before receiving manufacturer certification, a roofing contractor must comply with stringent requirements. Common standards include a roofing contractor license issued by the Department of Licensing and Regulatory Affairs, liability insurance and workers’ compensation, along with proof of good standing with the local community or the Better Business Bureau. For homeowners, manufacturer certifications mean high-quality standards not just with the roofing product, but also with warranties and customer service. Manufacturer certifications also make the search for a potential contractor easier, as you won’t even need to verify the contractor’s license, saving you time and effort in your search. You also get access to exclusive products and warranty coverage. Kroll Construction is proud to be a part of the Owens Corning Roofing Contractor Network as a Preferred Roofing Contractor. This designation means that we consistently meet high standards and strict professionalism and reliability standards, including a commitment to periodic training to keep our installation and repair skills up to date. Owens Corning Preferred Roofing Contractors are the only ones authorized to offer the Preferred Protection System Roofing Limited Warranty that features up to 50 years of warranty coverage on materials, up to ten years on workmanship, and a 130 mph (209 km/h) wind coverage. IKO is another trusted name in the roofing industry, and we are proud to carry our designation as an IKO ShieldPRO plus+™ Professional Roofing Contractor. You can expect high material and workmanship standards, plus the exclusive ShieldPRO plus+™ Extended Iron Clad Protection, which covers up to 180 months of material warranty coverage. To learn more about our services as manufacturer-certified roofing contractors, call Kroll Construction today at (844) 688-9632 or fill out our contact form to schedule a free consultation and estimate. We serve many areas in and near Michigan.